Every Wednesday, 1:00pm – 3:00pm ($4.00). Join the fun an friendship of a very lively group of dancers. 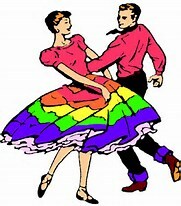 There is room for new folks, however, participants must be experienced square dancers to join the group. Call Jack for information at 509-891-0951.